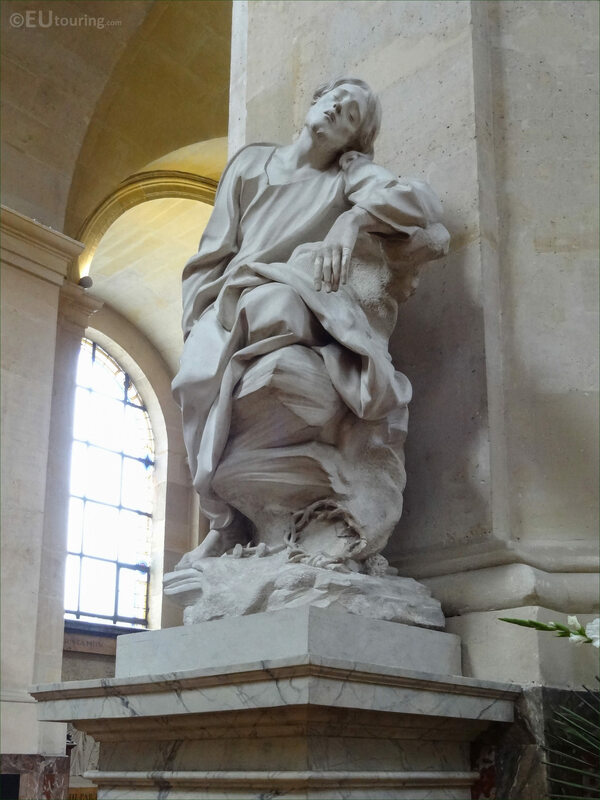 We were in the 1st Arrondissement of Paris at the Eglise Saint-Roch, when we took these high definition photos showing a statue called Jesus au jardin des oliviers, which was sculpted by Etienne Maurice Falconet. This first HD photo shows a statue called Jesus au jardin des oliviers although this is sometimes referred to as Le Christ au jardin des oliviers, which in English translates to either Jesus or Christ in the garden of olives, and this was sculpted in 1757, when it was presented at the Paris Salon for French artists that same year. 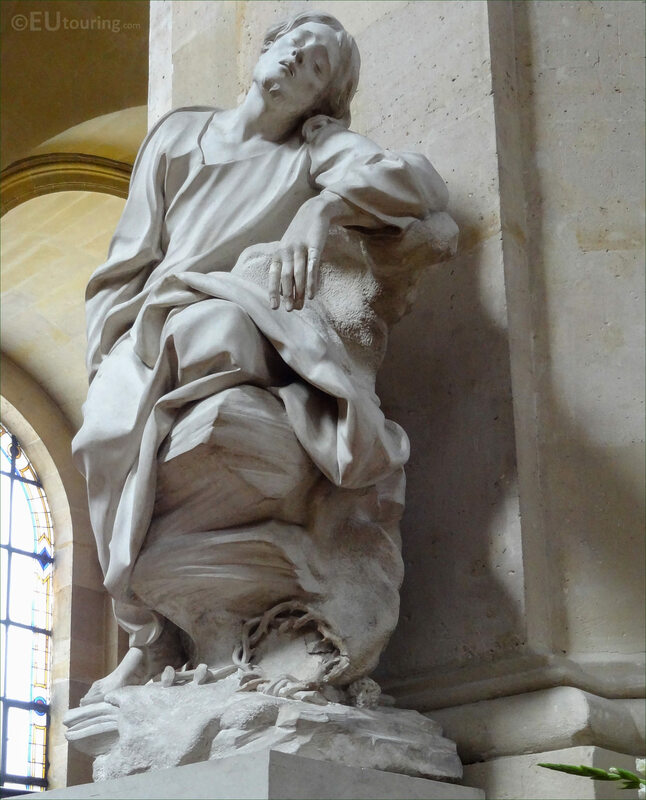 Now this statue was produced by Etienne Maurice Falconet who was born in Paris in 1716 and although originally apprenticed to a carpenter, he was noticed by Jean Baptiste Lemoyne and became his pupil, then started to gain recognition at the Salons, which led to different commissions. In fact Etienne Maurice Falconet worked for the Sevres Porcelain Manufacturer for several years, until he was asked by Catherine the Great to go to Russia to produce an enormous statue in St Petersburg, but returned to Paris and became the director at the Academie des Beaux Arts, yet unfortunately many of his works were destroyed in the French Revolution. 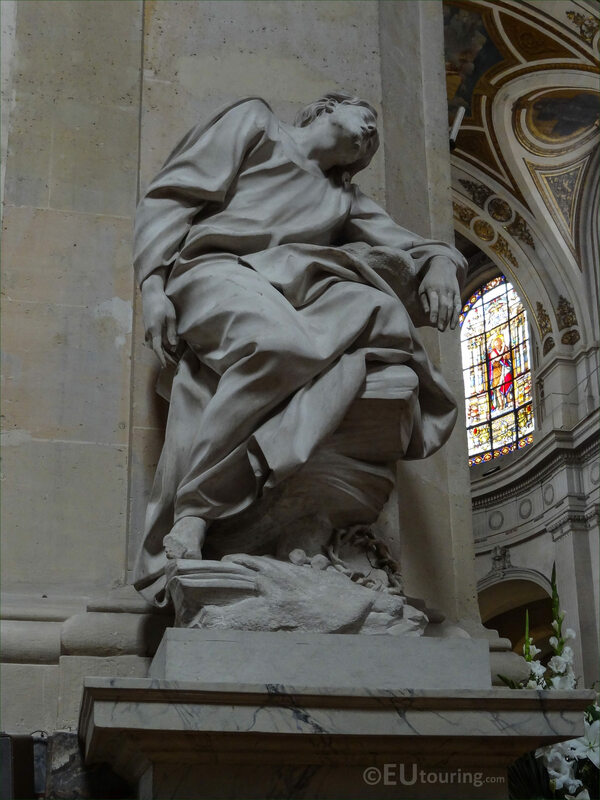 However, there is a medallion for the Monument to Madame de Jully within the Eglise Saint-Roch, along with one of his most recognised works called the Divine Glory in the Chapel of the Virgin within the same church, plus this one of Jesus au jardin des oliviers. So in order to see this statue of Christ in the garden of olives, upon entering the Eglise Saint-Roch via the entrance on the Rue Saint-Honore, you would need to go to the very back of the church and enter La Chapelle du Calvaire, which in English translates to Chapel of Calvary, and here you can see this statue that restored to its former glory after the Revolution.